I would like to dedicate my upcoming Solo exhibition to my dearest soul mate Robert Wernick who past away August 16th. His presence was always with me while preparing for this show. Three months before Bob (Robert Wernick) died, he was curious to know what I was working on. I gave him a smile and showed him the painting. He looked overwhelmed with happiness and said « I have been waiting many years for you to paint her ». When I work on faces I usually like to have a model in the studio and I usually search for angelical faces. For this portrait I couldn’t bring the model since it was Marilyn Monroe. 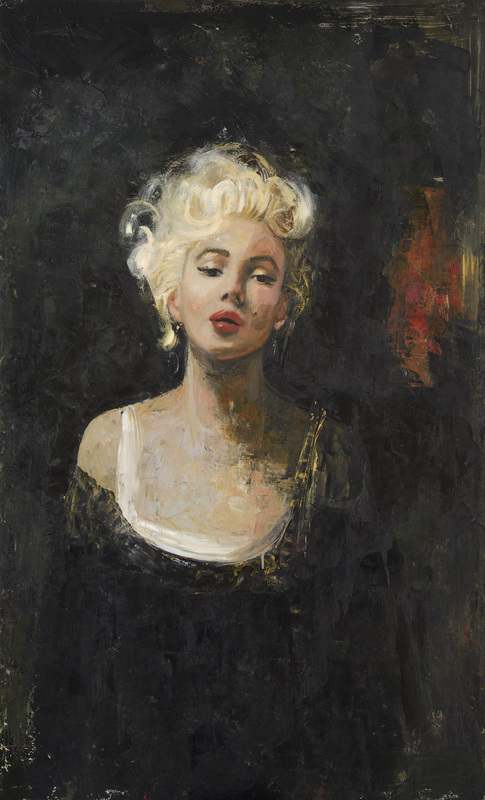 Apart from having lots of images of her through the internet, media, books etc…, Bob started to tell me, during one of our many dinners, the story of Marilyn when he met her in Los Angeles before she became famous. He described in detail her beauty, her soft voice, her sensitivity. He used to say she can switch on and charm everyone at anytime. Bob interviewed Marilyn Monroe and wrote an article about her when he was the Movie Editor of Life Magazine. What struck me most was Bob’s story when he took her on the Ferris wheel, « I held her hand as we starting going up, and the land started dropping away below us, and I looked over at her to point out something down below to her and to see her smile again. But she kept looking straight ahead, and I was suddenly aware that her hand was turning cold, colder and colder, as we rose and rose, and she was not holding my hand, she was clutching it. Her hand was ice ». …but I felt she became my angel and helped me to do the rest.